US Consul General Virginia Staab joined the State Department after experiencing the chaos of 9/11. From a career in the private sector, she entered the diplomatic corps, serving most recently in Guatemala before becoming Consul General at the Nogales, Sonora post last year. Last summer, Consul General Staab met with BCA's summer interns and welcomed them to the Consulate for an orientation to the work done there. 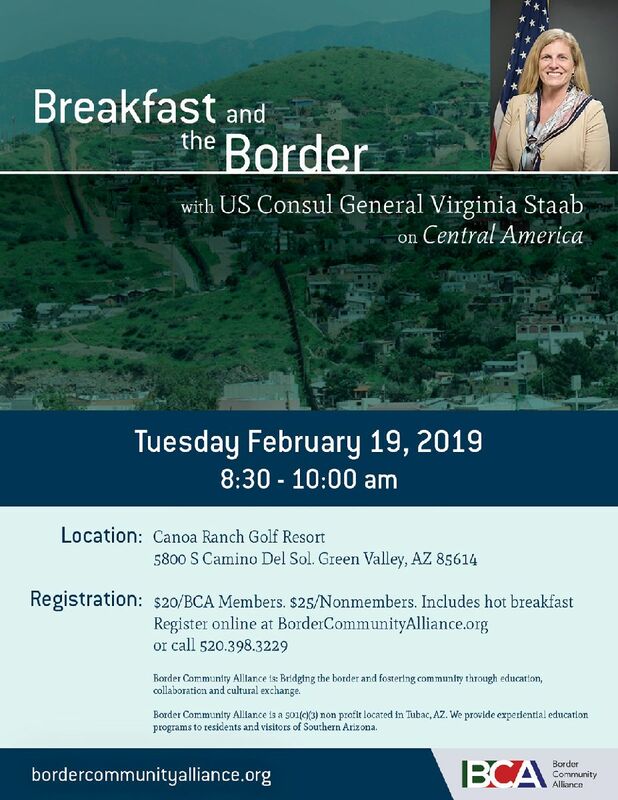 We welcome her to this "Breakfast & the Border" gathering at Canoa Ranch Golf Resort and look forward to hearing her comments on Central America. A hot breakfast buffet is included with your fee.